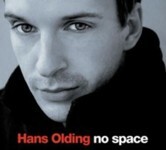 No Space is an energetic modern jazz album from Swedish guitarist, Hans Olding and his quartet consisting of saxophonist Linus Lindblom, bassist Par-Ola Landin and drummer Sebastian Voegler, with special guest trumpeter Nils Janson. 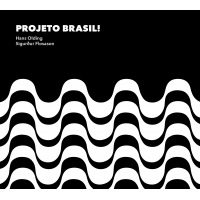 The album has a modern vibe that melds together compositional elements from the likes of Kurt Rosenwinkel and Adam Rogers with the tonal and improvisational qualities of a John Scofield record, without sounding like an imitation of either. 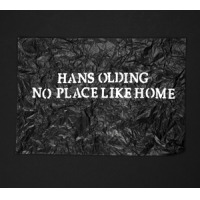 Olding's playing and writing is solid on every tune, which were all composed and arranged by the versatile guitarist. While he is firmly rooted in the modern jazz guitar sound, especially with his voicings, tone, and harmonic choices, there is also a strong bop sensibility during his solos. Whether or not this comes out through a study of the tradition, or in the second-hand absorption of modern players like Scofield and Rosenwinkel, it adds a second layer of diversity to every solo and melody line he plays. Aside from contributing as a highly creative soloist, Olding also possesses a chord vocabulary and sense of harmony that would leave many seasoned players in his wake. His use of non-traditional fingerings and arpeggiation, where others would strum or pluck, brings a personal touch to every chord and progression he plays, which only adds to the intensity of the soloist playing with him. 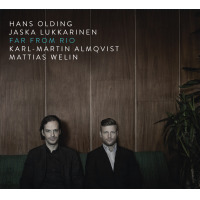 The ensemble that Olding has assembled for this recording does a superb job of interpreting the guitarist's compositions while interjecting their own voices into the mix. The rhythm section of Landin and Voegler play together as if they were one instrument. Their ability to lay down tight grooves while interacting with the melody and comping instruments keeps the energy flowing, especially on tunes such as "Three/Four" and "Just Don't," which features a simple yet effective intro by Voegler. Not to be outdone, saxophonist Lindblom brings his A game to every track on the album. His solos weave in and out of the harmony while staying firmly connected to the compositional intent of the tune. A great example of the strengths in Lindblom's playing can be found on the album's title track. Here, Lindblom lays down a solo that is subtly energetic in its delivery. He lays back on the slow groove of the tune and digs deep into the pocket to firmly entrench his lines within the harmonic pulse of the piece. No Space is a strong outing for the Olding. It is a showcase for his strong compositional and arranging techniques, as well as his ability to lead an ensemble by example in every note he plays. Track Listing: Chez Gladines; New Directions; Three/Four; Generation Why? ; No Space; Waiting for G; Just Don't; Departure (For Andrew Hill). 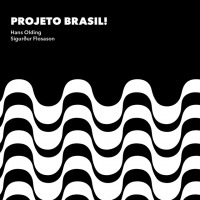 Personnel: Hans Olding: guitar; Linus Lindblom: tenor saxophone; Par-Ola Landin: bass; Sebastian Voegler: drums; Nils Janson: trumpet.